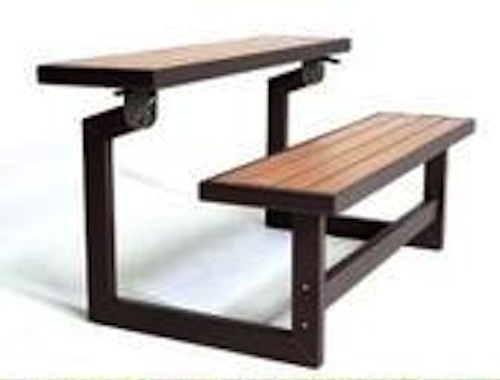 Lifetime Convertible Bench - 860054 Bench Picnic Table - 11 Pack. Is it a bench? Is it a table? Or is it combination of both? 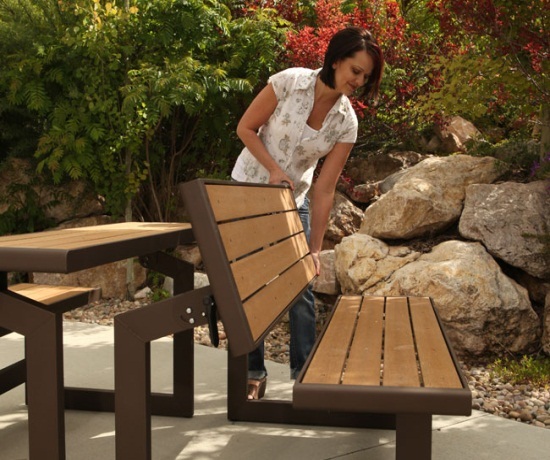 This convertible bench and picnic table from Lifetime Products fits both needs in one product. 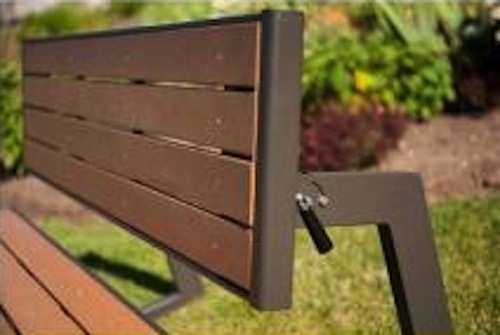 The bench and back slats are made with wood-simulated, UV-resistant polystyrene. What that means is you get the attractive look of wood while not getting all the hassle of maintenance and repainting wood requires. 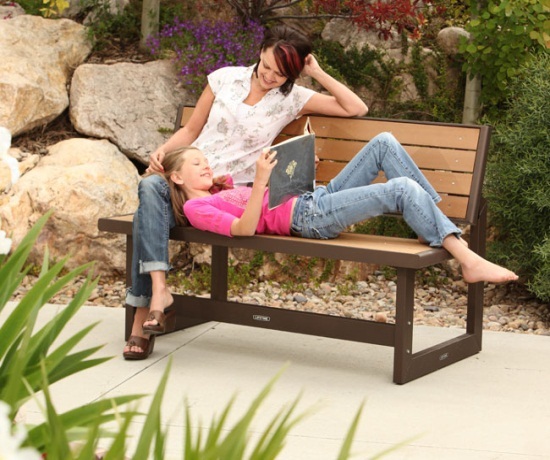 The frame of the bench is made with sturdy, powder-coated steel. 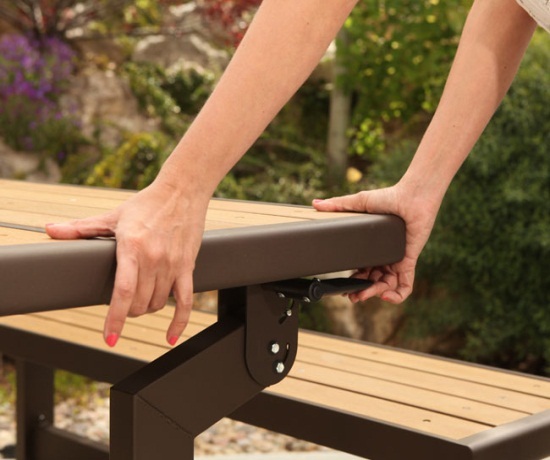 The metal holds up well in the outdoors and will provide you years of enjoyment out of your picnic table. 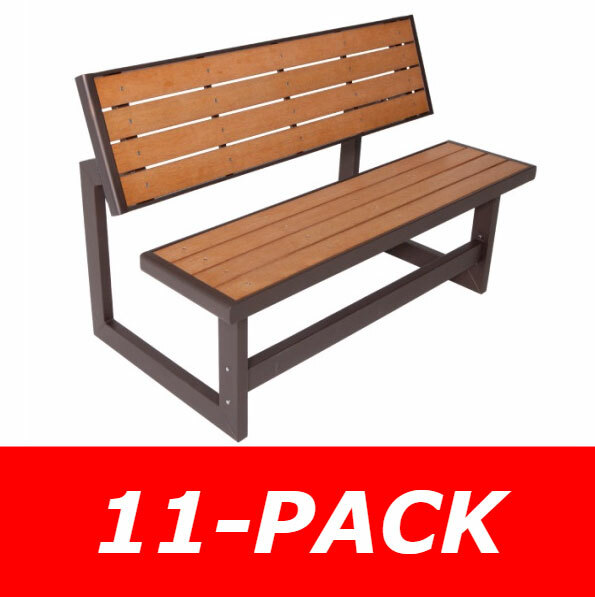 Each bench of this 11 pack includes a 2-year factory warranty from Lifetime Products. Simulated wood look provides attractive appeal without the wood-required upkeep. Bench and table top material of construction: polystyrene. Table and bench will not warp or splinter like traditional wood products. 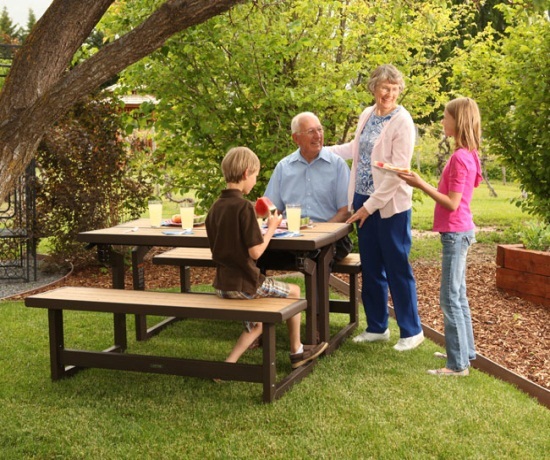 These Lifetime convertible bench picnic tables are great for home or park use. 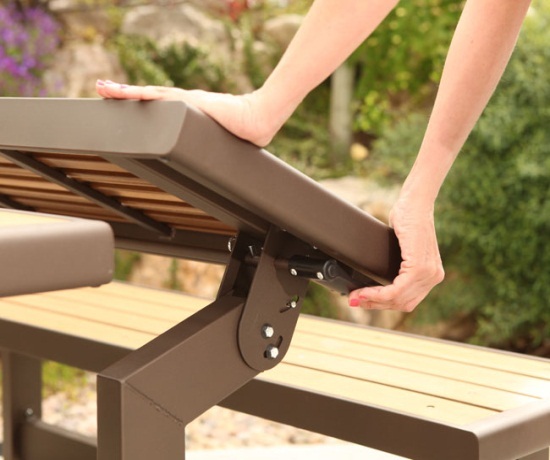 Put two of these products side by side to create a full-size picnic table. Comes with a 2-year warranty from Lifetime Products. Seat length - 57 inches. Bench back length - 57 inches. Table top height - 30 inches. Seat height - 18.75 inches. Seat width - 14.8 inches. Bench length - 57 inches. Picnic table top length - 57 inches. Weight capacity per convertible bench: 900 lbs. Bench Picnic Table Weight: 47 lbs. 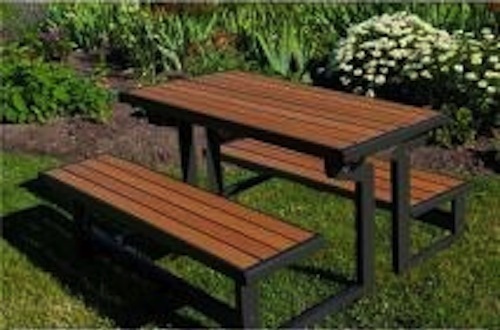 This pallet pack of Lifetime convertible bench picnic tables ships via an LTL freight carrier for a curbside delivery. This type of delivery means that the customer must be present to sign for the shipment and help the driver unload the product. Delivery appointments may be scheduled directly with the freight company prior to delivery. I am truly a believer of this product. I have a neighbor that has the cheap vinyl set and it does not even compare to this. this is just insane quality. Five stars without question. I have had some benches in the past and the thing I love about this are the slats. Even two days after a rainstorm on my other benches I would sit down and get my bottom went. The slats make it so that water doesnt just stand there. The benches I received are fantastic and have the versatility I was looking for . . . once I got the hang of it, putting them together was a breeze and one person could do it easily. I would recommend them highly! Q: What size of box does this come in? A: The box will ship as a pallet and the dimensions will be 224” x 50” x 60”. It will ship on a semi trailer, and the shipping company will call you in advance to schedule an appointment for delivery. Dimensions: 57" x 48" x 30"